What was Return of the Jedi originally going to be called? When George Lucas was making his third Star Wars feature film, he wasn't making Return of the Jedi. He was making a film called Revenge of the Jedi. 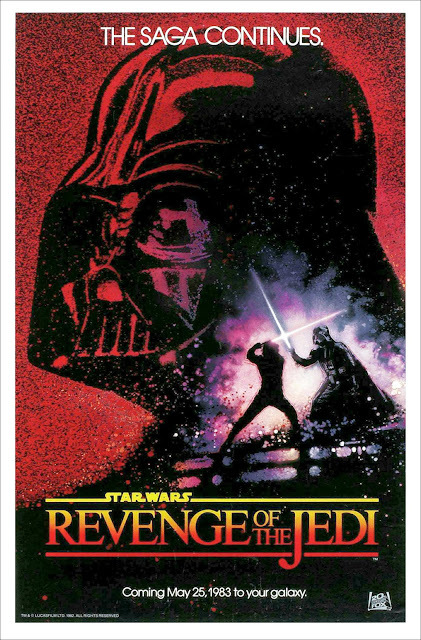 It was revenge in the sense that Luke was going to win the battle against the Evil Empire, taking his revenge for all the wrongs done to himself and his family. Things got so far into production that promotional posters of the film with the name Revenge of the Jedi were produced and sent out into the wild. But then George had an idea. A great idea which changed the whole tone of the movie. He named it Return of the Jedi to signal what the movie was really about. That being the return of Anakin Skywalker from the dark side of the Force and his rightful place as a Jedi. It also is a reference to how Luke becomes a Jedi ("So be it, Jedi" declares the Emperor) and when that happens, the Jedi in the plural sense have returned. Lucas also thought that true Jedi would not actually seek revenge.